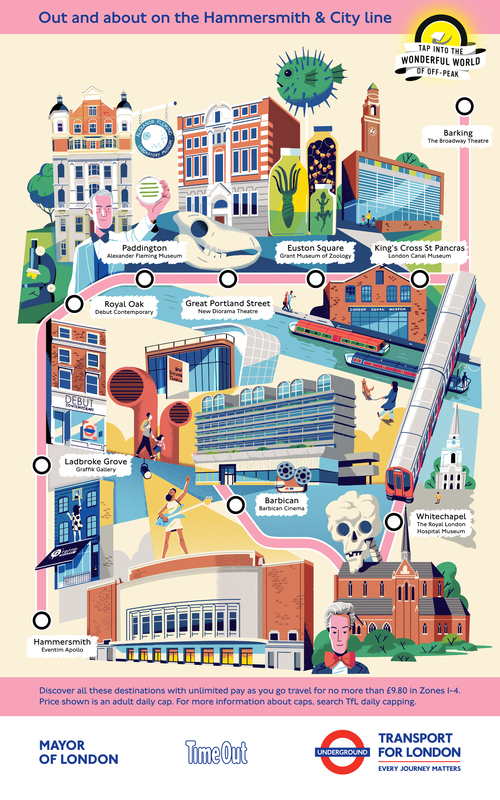 Time Out exists to inspire their readers to make the most of their city – whether that’s the latest must-see art exhibition, a serene hidden garden or a killer music venue in an unexpected part of town. 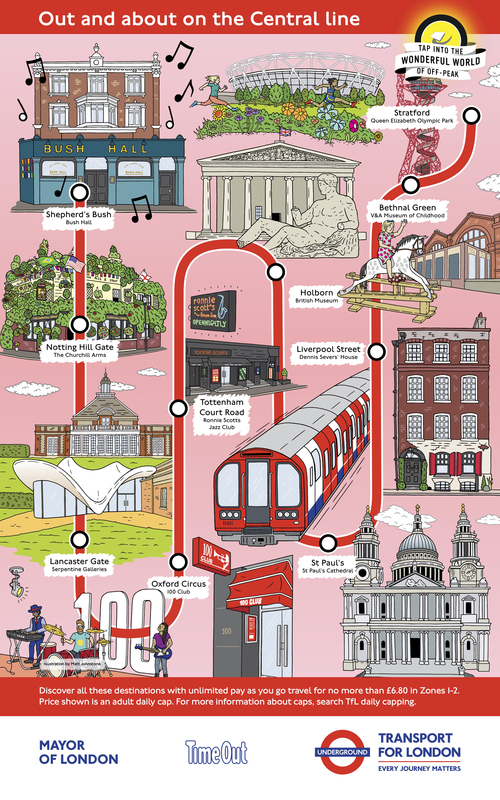 That’s why they’ve teamed up with TfL to uncover fantastic cultural experiences all over London. 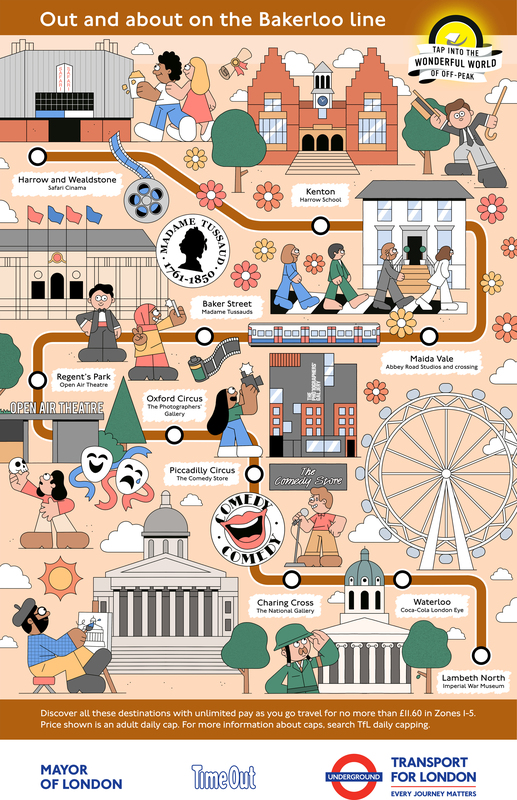 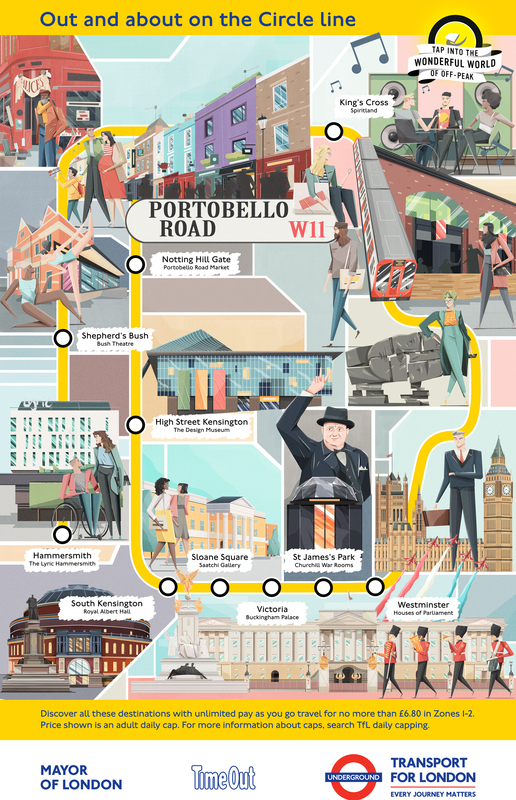 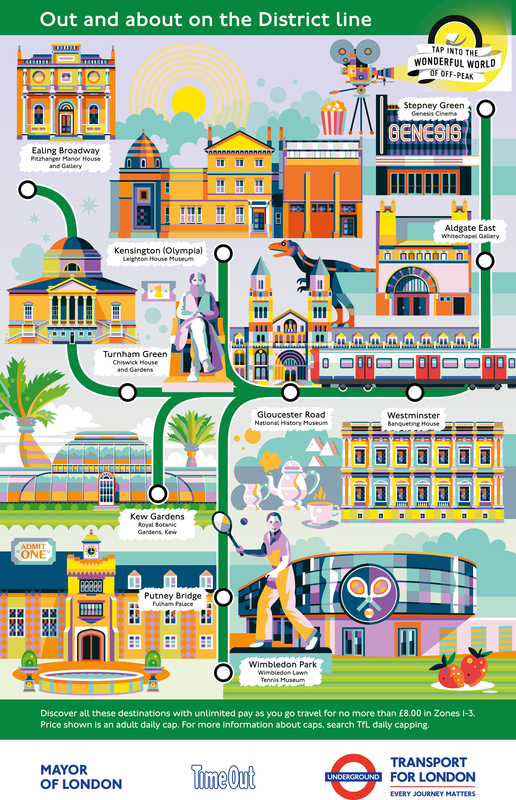 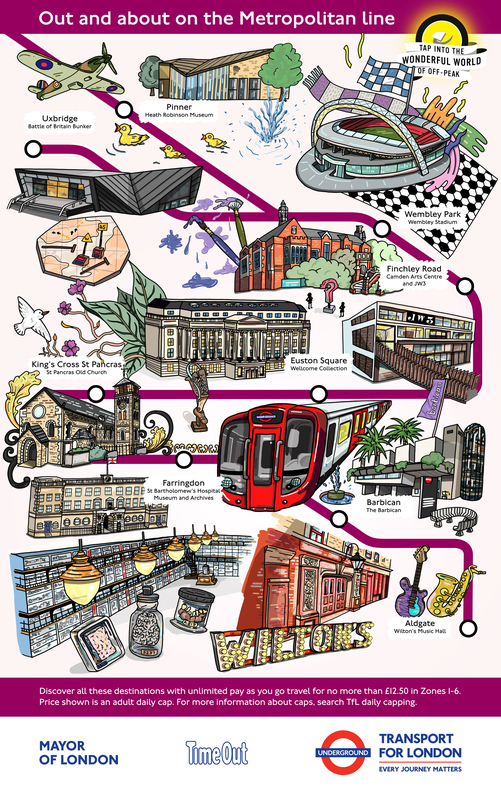 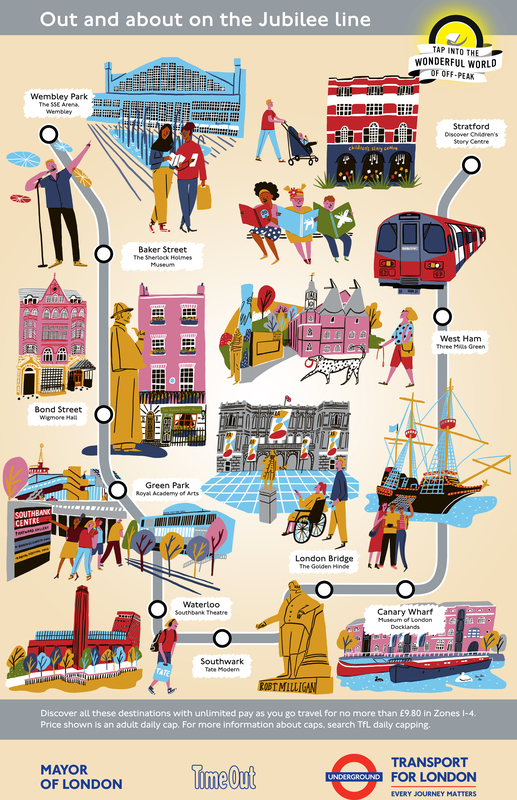 A select group of artists represented by Jelly London were asked to create some TfL posters to bring to life their ‘Wonderful world of off-peak’ initiative, revealing some of Time Out’s recommended museums, galleries, street art and more on various tube lines.